BOSTON, March 24, 2009 – Technomad Associates, LLC, a leader in weatherproof loudspeakers and audio systems since 1995, announced that Zayed Cricket Stadium in Abu Dhabi, United Arab Emirates, used eight Technomad loudspeakers to provide live coverage of the Fortune Cup professional cricket matches to 20,000 spectators.The Fortune Cup took place in late 2008, comprising three cricket matches between the West Indies and Pakistan over the course of one day.Bint Al Jazeera Electronics, a professional AV and lighting company based in the United Arab Emirates, installed six Technomad Berlin and two Noho C loudspeakers to ensure even audio coverage throughout the large open-air stadium, allowing announcers to clearly reach every spectator in the stadium. 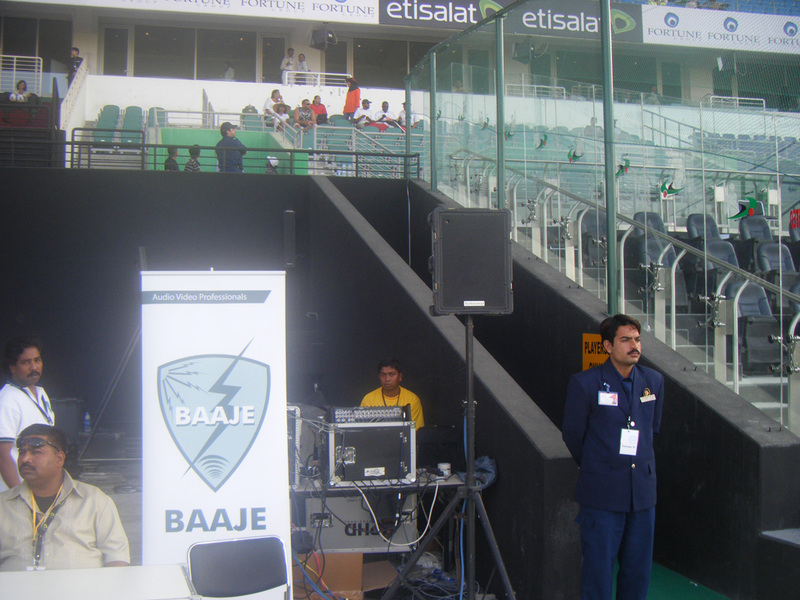 According to Shrini N Iyer of Bint Al Jazeera Electronics, the chief engineer Mr Yunis Philabous of the Abu Dhabi Cricket Club was determined to eliminate all echo from the venue during the matches, an issue that had an adverse effect on the sound quality and audio coverage during previous events.Even audio coverage and durability were also significant considerations in choosing a sound system for the event. The Technomad Berlin loudspeakers, renowned for their unparalleled projection, fidelity, and power, covered the main seating areas and field surface.The Noho C loudspeakers served two purposes, acting as performance monitors and also providing a direct audio source to the VIP section. 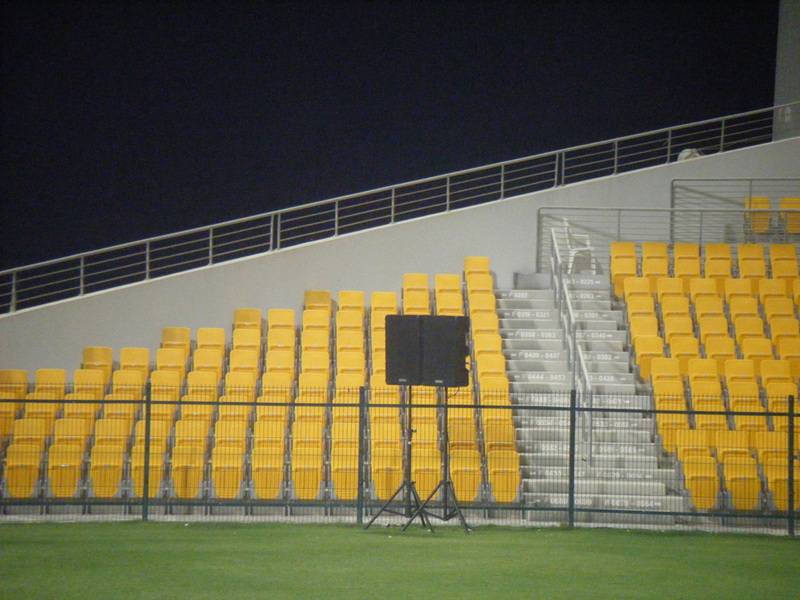 All eight loudspeakers were positioned atop tripods seven feet above ground level to ensure an even audio pattern, allowing every spectator to clearly comprehend speech from the announcers.In addition to voice, the Technomad loudspeakers powered instruments for a live band performing between events, providing a robust musical output for the crowd to enjoy. Other recent Bint Al Jazeera projects in the Middle East featuring Technomad loudspeakers include the American International School in Abu Dhabi, the Burjuman Center in Dubai, and the Danant Resort in Ruwais.The company’s website can be accessed at http://www.hifi10.com/.